Kim Ki-young’s claustrophobic set piece of a narrow two-story home is the perfect cage in which to attempt to contain the wild and escalating emotions of this domestic melodrama. The film tells the story of Mr. Kim, a music teacher whose guilt over the suspension of a young woman he teaches leads him to question his judgment and test the limits of propriety with his new housemaid. His wife Mrs. Kim works two jobs so that they can afford their new dwelling but her dream of perfect domesticity unravels quickly when her husband surrenders to the housemaid’s advances, an act that puts everyone in the house, including the children, on a path of mounting cruelty and obsession. 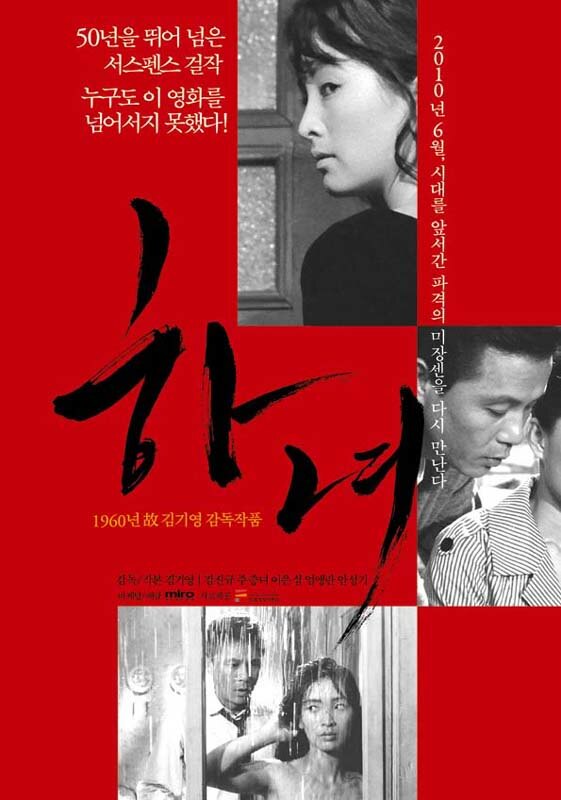 A spectacular close-up shot of dying rats writhing in a bowl of white rice laced with poison becomes an unforgettable symbol of the nightmarish world evoked in this classic of Korean noir cinema.THE HOUSEMAID has been digitally restored by the Korean Film Archive (KOFA) with the support of the World Cinema Foundation. Tickets are available at AFI.COM/AFIFEST or by calling 1-866-AFI-FEST beginning October 28. This darkly elegant, meticulously crafted thriller follows the travails of a young maid in an opulent mansion where class hierarchy is played out with ever-mounting cruelty.